Apply for your Tallinja buscard before coming to Malta to take advantage of the cheapest bus fares. If you plan to stay in Malta for a while and travel around by bus it will make quite a difference on how much you spend on public transport. Holders of the tallinja card are entitled to reduced fares (0.75c instead of €1.50 in winter and €2.00 in summer) Spending on normal bus fares is capped to a maximum of €26 per month. (night buses and some special direct routes are not included) This means that once the total spend on all your journeys reaches €26 in any month, you will not pay for any more journeys for the rest of the month. It’s that easy. The more you travel, the more you save! There is a registration fee of €10 + postage charges for delivery by registered mail. You must also top up the card with €20 to activate it. This amount will be available for you to use as soon as you receive the card. The card can be mailed to you at a local address as well as overseas. After the first month the card can be topped up with credit online, over the phone or at one of the public transport sales outlets. The credit on the card does not expire and fares will be deducted from the card only when you use the bus. To apply for the card you can register for it online. You will need to upload a photo and a copy of your identity card. Apply for your Tal-Linja card before your arrival so you will be able to benefit from the reduced rates from the start of your stay. If you are renting a room with us at Looza homestay or renting our Apartment feel free to contact us and I will give you my address and keep the card safely for you until your arrival. When you get on the bus you simply need to touch the tallinja card on the reader, a green light appears on the reader together with a sound which means that the card has been accepted for travel. If a red light appears on the reader together with a different sound, the card has been rejected and you must pay the driver in cash to continue your journey. Adult Card holders pay €0.75 per day journey both in winter and in summer and the total amount per month is capped to €26 per month. The card cannot be used on night buses. Fares for non card holders and tickets bought on the bus are : single journey of up to two hours €1.50 in winter and €2.00 in Summer and €3.00 for a single journey night bus ticket. If you don’t have a card and want to pay your fare on the bus, exact change is ideally to be provided to the driver. The driver may refuse cash notes in excess of €20. Tal-Linja Card holders enjoy the added benefit of reduced rates on the Valletta Ferry. This is a ferry service between Sliema and Valletta which runs every 30 minutes and also a ferry service between Cospicua and Valletta. The Ferry services runs throughout the day and there are also some ferries during the night. For more details you can have a look at the ferry schedule. The crossing takes 7 minutes and is an enjoyable way of commuting between cities and towns traffic free. The day fare for a Tal-linja card holder is €1.30 instead of the €1.50 charged to non card holders. What bus card should I purchase when Visiting Malta? Alternatively if you are coming to visit Malta for only a short time you can purchase an EXPLORE 7 DAY TICKET which costs €21 for adults and €15 for children and will permit you to take as many bus rides as you wish for 7 consecutive days. Both these cards are available to purchase from tal-linja kiosks, or vending machines and other authorised outlets. They can also be purchased online and can be used immediately. 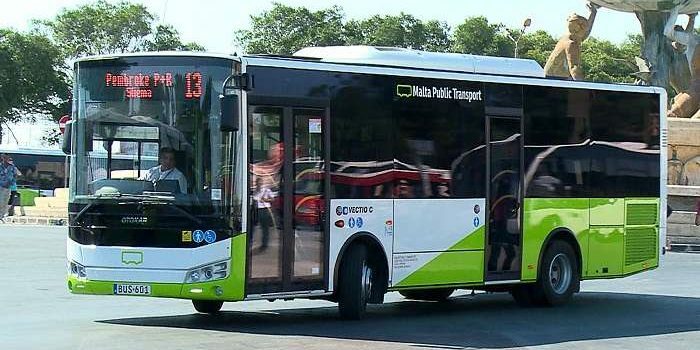 Malta public transport is now also providing a new card called the Explore Plus Card. This card gives the user 7 days of unlimited travel on public transport, including direct services from the airport and to various beaches; 2 trips on the Valletta ferry; and a full-day tour on the hop-on, hop-off buses visiting Malta’s landmarks, or a round trip to Comino by boat. You can any of these bus cards from Tal-linja bus kiosks which are located at : the Malta airport, Sliema Ferries, Valletta bus terminus, Bugibba bus terminus and Mater Dei hospital. It is also possible to order them online and have them delivered by post either in Malta or overseas. A brand new app for mobile phones called Tallinja has just been launched. This app can be downloaded from Google play store and allows you to see buses coming within the next 30 minutes to the bus stop of your choice. Handy information to have before planning a journey! Travellers to Malta and locals will surely find this useful. From the Plan your journey icon you can input your starting and ending point and you can also choose to put in the date and time of your journey. You then choose if you’d like to get there on foot, minimum transfer (with a picture of a bus) or the best route. It seems to give better results when you input the bus stop you want to leave from and bus stop where you would like to get off than simply inputting town names. The result gives you bus number to take, how many minutes and how many stops to get there. You also have the option to look at the route on the map or look at alternative bus routes. The next icon, My next bus, is a very handy feature. The next bus icon takes you to the map and pinpoints your location. You can then choose the bus stop for your departure and the app gives you the buses arriving at that stop in the next 30 minutes, and how many minutes to go before each bus arrival! If you click on one of the bus numbers you can even see the frequency of this bus and each bus stop it passes from. There is also further information giving all bus numbers passing through each bus stop on the way in case you need to change route. The timing for the buses should be accurate as each bus has been fitted with a transponder and using GPS technology transmits it’s location to a central system. The favourite bus stops icon gives you a list of the bus stops you input as your favourites. Top up card lets you top up using your bank card or vouchers, and check your balance icon, of course gives you your balance upon entering your customer card number. The remaining 2 icons are used to contact the bus company by e-mail and logging in to your tallinja account to be able to view your transaction history. 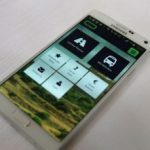 Holiday makers who are planning to come to Malta will find this app very useful right from their first journey from the airport in case they haven’t booked any transport to get to their accommodation. To avoid running out of credit you can also enable the auto top up function on the app. You will be able to set a minimum amount and each time this amount is reached the top up will take place automatically. A number of buses are now also offering Wifi connection to commuters as an incentive for people to use buses more often. Students coming to Malta on a long stay on an internship or a Medical elective should apply for a Tal-linja student card before arriving in Malta to be able to save on cheaper bus fares right from the start of your stay. If you are looking for budget accommodation for your stay in Malta have a look at our rooms for rent or private apartment.